LG is launching a new artificial intelligence research lab in Toronto, the South Korean tech giant announced on Wednesday morning. 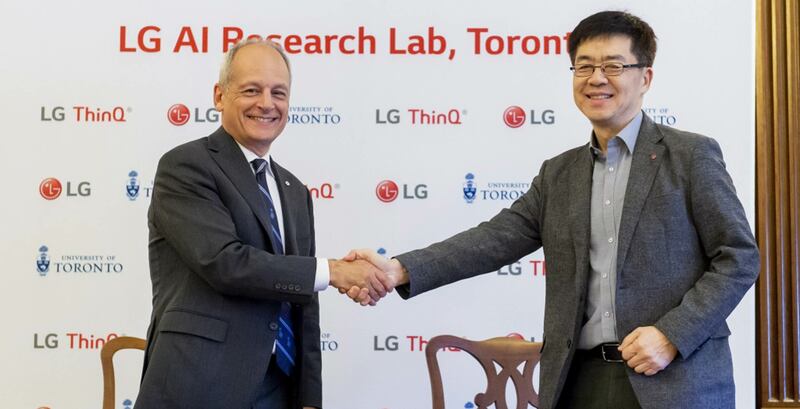 Part of a five-year, multimillion dollar partnership with the University of Toronto, the initiative will see LG employ “several dozen” individuals focused on furthering the company’s open platform, open partnership and open connectivity AI strategy. In an interview with Bloomberg, I.P. Park, chief technology officer at LG, said the company picked Toronto because it’s “pioneering in the area of deep learning.” Of course, LG isn’t the first South Korean firm to open up shop in Toronto. Earlier this year, Samsung launched its own AI research centre across the street at the MaRS Discovery District.